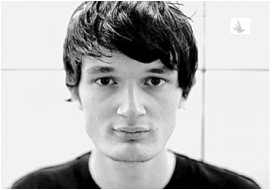 Apparat is 2011's Washed Out but Better! Really there are days, weeks when I just get bored listening to the same old drivel. I try not to remind myself how great it used to be…when one band from one new area from say Toronto, led to a slew of fantastic artists. Wow, that was just last year. Sometimes, I just have to remember that great music isn’t easy to find. I feel like our excavators have exhausted The Swedes, The Canadians, Chicago, San Francisco, the well seemed dried up. But then, I found a this lonely ‘ol lost track from Apparat, dream pop artist who had two records on Shitkatapult now on Mute. His new record The Devil’s Walk is great commute music. Calming dream-pop that conjures up 80’s revivalists like Cocteau or Roxy and then layered in a little James Blake. I feel good about today’s selection and I think you’ll find love in Apparat.